Could Jay Cutler end up signing with the Miami Dolphins? It sounds like the former longtime Chicago Bears signal-caller could put off his broadcasting career for a bit under the right circumstances. The NFL quarterback carousel doesn’t stop turning just because the season is getting closer — even for supposedly retired free agents like Jay Cutler. After the 2016 season, Cutler and the Chicago Bears parted ways and the 34-year-old signed on with Fox to become a commentator. But plans have a way of changing, especially when starting QBs like Ryan Tannehill go down with injuries during training camp. While the extent of Tannehill’s knee injury is so far unknown, the prospect of the Dolphins, a playoff team last year, going into the season with Matt Moore at the helm isn’t ideal. Could Cutler be a potential solution, even though he had supposedly hung up his cleats? Here’s where it gets interesting: I’m told Cutler is interested in delaying TV gig to play for Gase but it’d need to be starting job/money. The connection between Cutler and the Dolphins that might make a signing an attractive one is an obvious one: head coach Adam Gase. 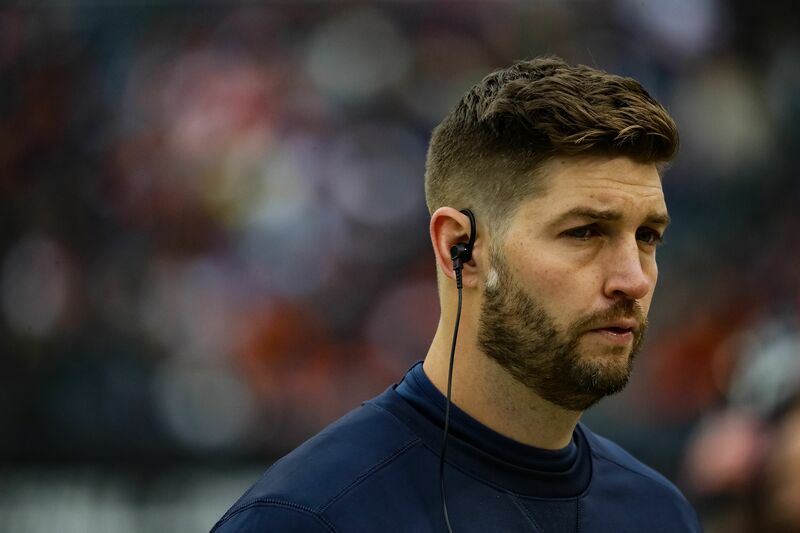 He served as offensive coordinator for the Bears during the 2015 season, one that saw Cutler have one of his better seasons in terms of yards, completion percentage and TD-INT ratio. That might be enough to create a comfort level for Gase with Cutler that wouldn’t exist with other free agent QBs like Colin Kaepernick. Moore has played well in spurts over the course of his career, but he’s been a career backup and wouldn’t necessarily be a guy one would trust with the keys to a playoff contender for an entire season. And Cutler’s reported money demands make more sense when you consider that if he’s brought in, it would likely only be if the Dolphins expected Tannehill to be done for the season. In the meantime, for everyone out there who hasn’t written a “5 possible replacements for Ryan Tannehill” article yet you might want to move Cutler up to No. 1, just in case.